Ever wonder about the best songs in the history of music to lift weights to? So did we. Here they are. First of all, there will be no apologies. Debate? Sure. We can debate all night. But, us being sorry if you don’t like our picks? Never. This is our list of the 25 greatest songs of all time to get you scowling, growling, and heaving iron. 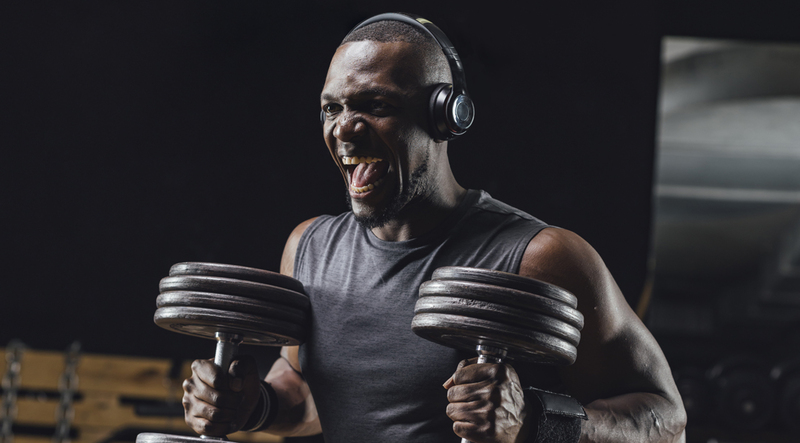 We surveyed former and current pro bodybuilders, we collected hundreds of staff picks, and then we made difficult choices—all so we could say without hesitation: Here are the best training songs. Ever. Songs that shoot a visceral rush through your veins. Songs that drive you outside for parking-lot lunges in the cold. Songs that have you screaming like a crazed beast as you make the squat rack your indentured servant. Find these songs. Listen to them. But most important: Play them loud. We've included it all—rock, rap, you name it. So, take a look. What better song for your iron dungeon? When you need to lift like a madman, tap into the tune that defined heavy metal. It might make you as deranged as former Sabbath member Ozzy Osbourne, but if it helps you go that extra rep, rock on. This is a great get-off-your-duff song. Produced by Phil Spector and featuring George Harrison on guitar, it was recorded the same day it was written and released 10 days later. It’ll make you move quickly, too. It’s the only entry from a female to make our list (not including LL Cool J’s mama), but Lilith Fair this ain’t. Joplin goes for passion over pitch as she orders listeners to take it. So what are you waiting for? Take the damn thing. Mike Tyson abetted this song’s badass cred when he played it while stepping into the ring for his first fight after serving time. Redman’s booming beats and out-of-control lyrics get you seriously hyped to conquer things far more imposing than Peter McNeeley. “Hey, hey, mama, said the way you move/Gonna make you sweat, gonna make you groove.” Page’s immortal riffs, Plant’s ungodly vocals and Bonham’s God of Thunder drumming combine to have you pumping iron like a berserk Viking. What the beast himself listens to.